In 2016, I started World Narcissistic Abuse Awareness Day (WNAAD) which occurs on June 1st every year. 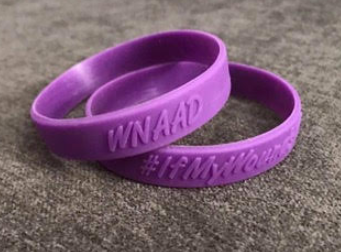 Established in 2016, WNAAD is a growing global movement dedicated to raising the profile of narcissistic abuse, providing public pathology education, resources for survivors, and effect policy change. WNAAD is an international event that is recognized worldwide. Read my article that appeared in Psych Central, Narcissistic negatively affects 158 million people in the U.S.
Register now for the WNAAD Survivor Empowerment 2018 Telesummit and get your FREE access to listen to the 15+ informative interviews with world’s leading industry experts and thought leaders on June 1st. Click the link to find register and find out who will be speaking?